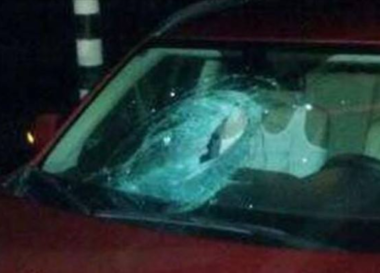 A group of illegal Israeli colonialist settlers hurled stones, on Thursday evening, at Palestinian cars near Za’tara military roadblock and Yitzhar colony junction, south of the northern West Bank city of Nablus. Ghassan Daghlas, a Palestinian Authority official who monitors Israel’s colonialist activities in northern West Bank, said the Israeli assailants hurled stones at the Palestinian cars near Za’tara roadblock, and near Yitzhar junction on the main road linking between Nablus and Qalqilia. Daghlas added that several Palestinian cars were damaged in the attacks, while the soldiers did not attempt to arrest any of the settlers. He also said that such violations have recently escalated, adding that this attack is the second of its kind this day alone.